Good music involves peaks and valleys, taking the listener to the mountaintop one-minute, and back down to the valley the next. 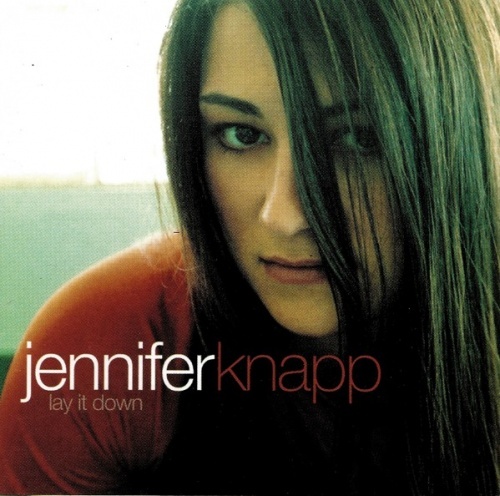 Emotionally and dynamically no contemporary Christian woman does it like Jennifer Knapp. On her second release Lay It Down, Knapp shows the kind of artistic growth expected from a seasoned veteran. One minute it's Carole King in a coffe shop courtesy of "A Little More," The next you're tapping your toe to a snappy Sheryl Crow vibe on "Lay It Down." This disc is rich in texture and lyrically passionate. Knapp has always recognized her own inadequacies, ala her first hit "Undo Me." This time around the tune "Into Me," serves up another humble lyrical reflection. "I wanna know you, better then I do, relieve me from myself, bring me into you..." One of the discs most interesting and memorable tunes was written by Shawn Colvin, a ditty called "Diamond In The Rough." The song builds to a climatic peak with dc Talks guitarist Mark Townsend riffing his acoustic as though he were Allman Brother Dicky Betts. Lay It Down, is a triumph for Jennifer Knapp, she wears the hat of a multi-talented lyricist, songwriter, and vocalist very well.